Your body could be having an allergic reaction, sensitivity or intolerance right this very second, and you might not even realize it. But in today’s post, you’ll learn new and surprising symptoms of allergy attacks, as well as what it really means to have an allergy, intolerance or sensitivity. Here’s the sad truth: you may think you’re ‘fixing’ your allergies by popping an antihistamine. Except you’re not actually fixing anything, rather, you’re simply tempering a reaction. The real problems are still there, and they’re wearing heavy on your body. But we’re not going to leave you hanging today, of course. By the end of this post, you are going to have a new advantage. By becoming allergy, sensitivity and intolerant aware, you’ll be able spot the symptoms – even the surprise ones – and stop the reactions. Seriously, this knowledge can change your life. We’ve seen it with many of our clients. Here is your check list. Do these sensations ever come over you? Do you wake up in the morning with them, or feel them mid-day following a meal? These allergy symptoms are signs of a system that has lost control. Think about it: many of us encounter a range of triggers every day from mould allergy, pet allergy, food allergy, drug allergy and more, but not everyone has such dramatic responses that you saw in the above list. So, what is happening when you have a reaction? Allergy, sensitivity and intolerance are not the same things. BUT, although there are differences between allergy, sensitivity and intolerance, all of them are a signs of something not functioning properly in your body, and all of them can have serious consequences. For an allergic reaction to happen it means your body has encountered this particular substance at least once before, developed an aggressive mechanism toward it and the next time you are exposed to the substance your body will go into a full flare up like eczema, hives, respiratory problems to anaphylactic shock. A sensitivity is something that is causing damage to you often over time and can become life threatening especially if you are exposed repeatedly to this substance. It’s hard to spot a sensitivity since it is not an immediately strong reaction. In fact, it can take 1-4 days for the symptoms to appear. For example, you could have digestive problems (heartburn, bloating, gas, constipation, diarrhea etc.) and not realize it is due to a sensitivity to some food you’d eaten (now festering in your gut) a day or two earlier. The same goes for neurological problems (fogginess, memory issues, joint pains, fatigue etc). Sensitivities can cause deep damage to you over time, and are not that easy to pinpoint. That’s why you need to be proactive about your symptoms, and work with a health practitioner who will partner with you to discover the root cause of your inflammation. An intolerance is when someone is lacking something to process a substance. A good example is lactose intolerance, when someone doesn’t have the enzyme necessary to digest the lactose, and hence all kinds of digestive symptoms result. No matter how you label these things, they are disruptive to not only a healthy body, but a healthy life. Small responses that get easily overlooked will create long-term wear on your body’s systems. Whether it’s a stuffy nose, sore stomach and tired head, there’s a strong chance some form of the reaction is behind the symptom, and it’s effect is slowly chipping away at your healthy, happy self. Firstly, BE PROACTIVE! 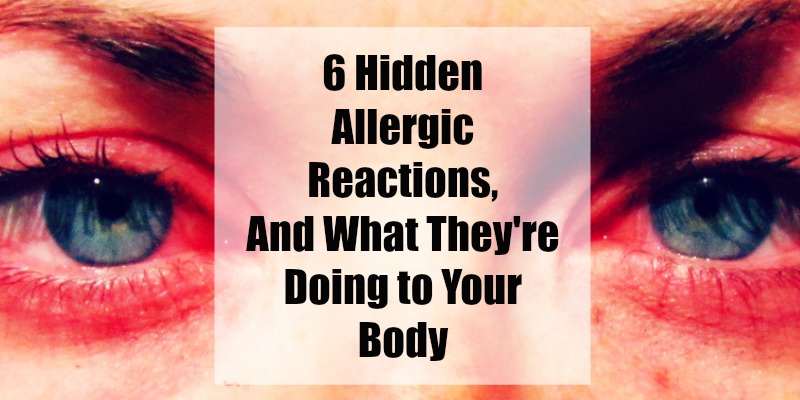 Check the list of sneaky allergy reactions above, and compare yourself against those descriptions. Recognize anything? If yes, then realize you can’t just treat the inflammation or reaction, you need to find the root of the problem. Secondly, find a good health practitioner who will help you consider all aspects of your life in finding the root of your reactions. Thirdly, become your own private detective by becoming very aware of what is going on into your own life, tracking meals, mood and energy levels, and noticing both what brings you strength, happiness, love, health, and joie de vivre, as well as what brings on fatigue, boredom, unhappiness, anger, discomfort, and poor health. Keeping track of your daily experience is an exercise that can truly change your life. It helps not only to establish daily tendencies, but also can expose delayed responses that your body may have to various triggers. Follow these steps, and you’ll be tackling issues far too often over looked or improperly treated. In short, you’ll be making your body and your life better. Can it all really be tracked back to allergies? Yes, indeed. And in fact, it gets quite complex, which is why you want a great health practitioner on your team. 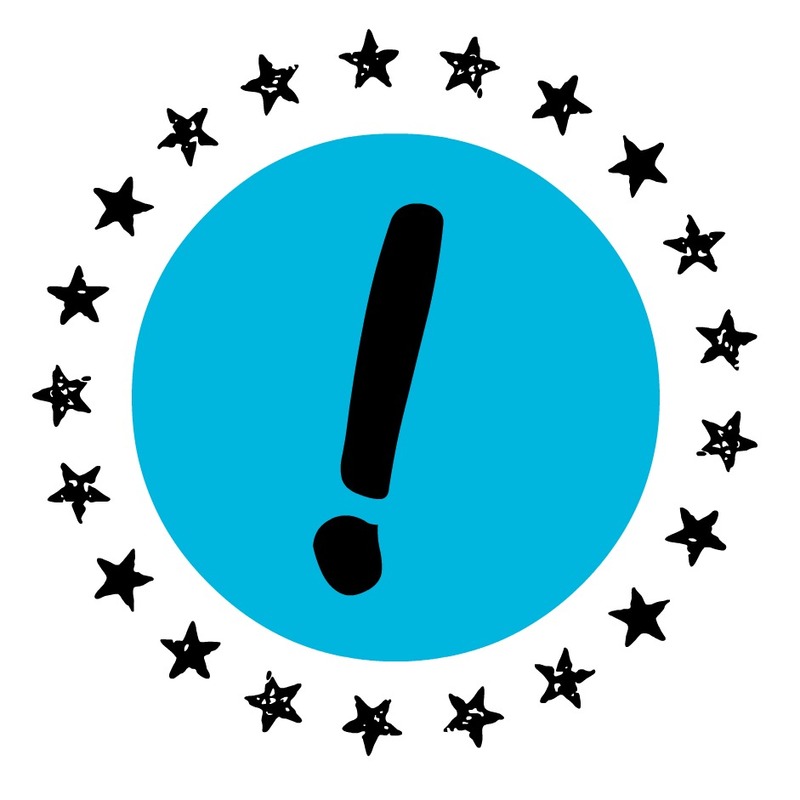 Review the signs and symptoms of an allergic reaction, do you have any of those? Become aware of the different allergies one might have. Become your own advocate for your life, health and potential. Start some detective work. If you have any of these problems or suspect there is something not quite right with your body, work with a health practitioner who will take the time to look at you as a unique individual and is interested to find the root cause of your problems. Create a great life for yourself. It is worth the work! *The image used in today’s post and as the featured image belongs to parrchristy on flickr and is shared under the creative commons license. Got an ache, maybe a pain? Feeling tired, cranky or just plan lost? We love to help heal, and after thirty years, we do it very well ;) Long-time, new and returning clients are all welcome. Book now to feel better soon.